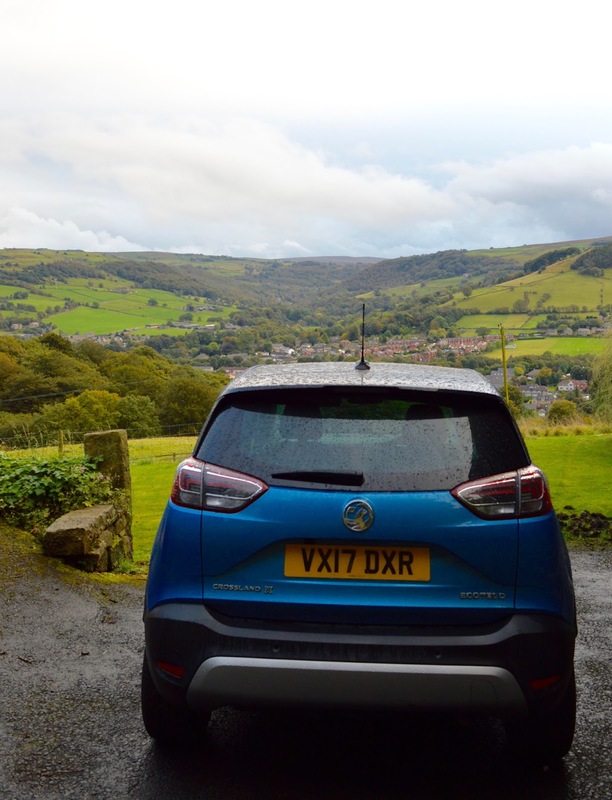 *This post has been written as part of a press trip to Calderdale. See my disclosure policy for details. 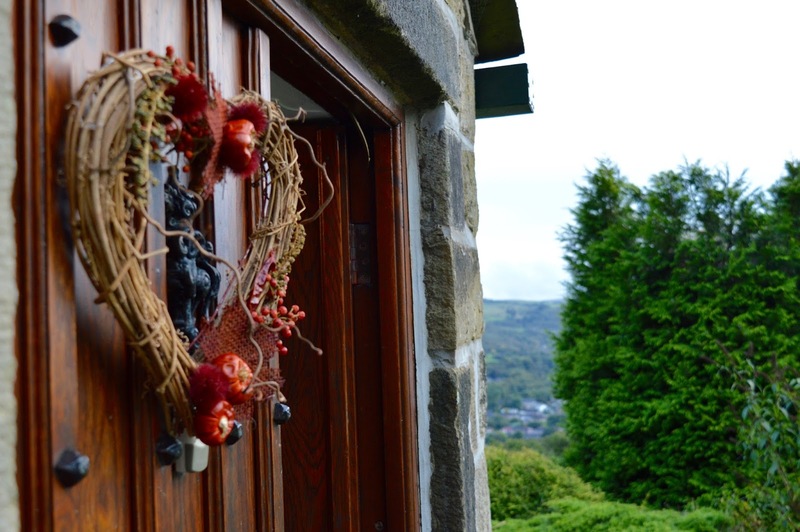 A few week's ago we stayed at the glorious Stephenson House in Hebden Bridge, Calderdale. 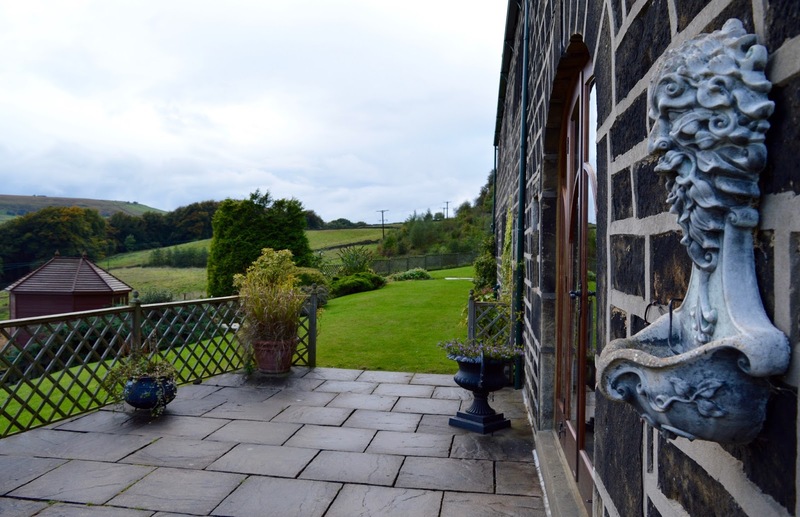 Calderdale is only around a 2.5 hour drive from Newcastle and is a beautiful part of West Yorkshire. 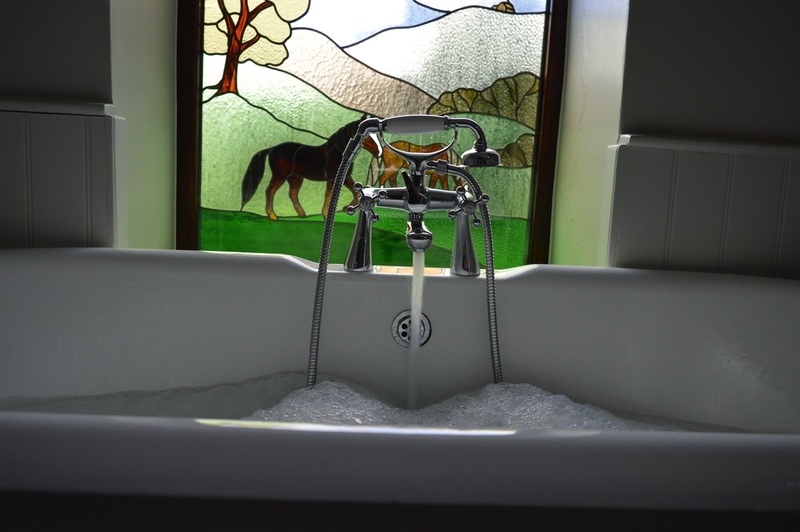 Stephenson House is perfect for an extended family stay, for birthday celebrations or for walking groups too. 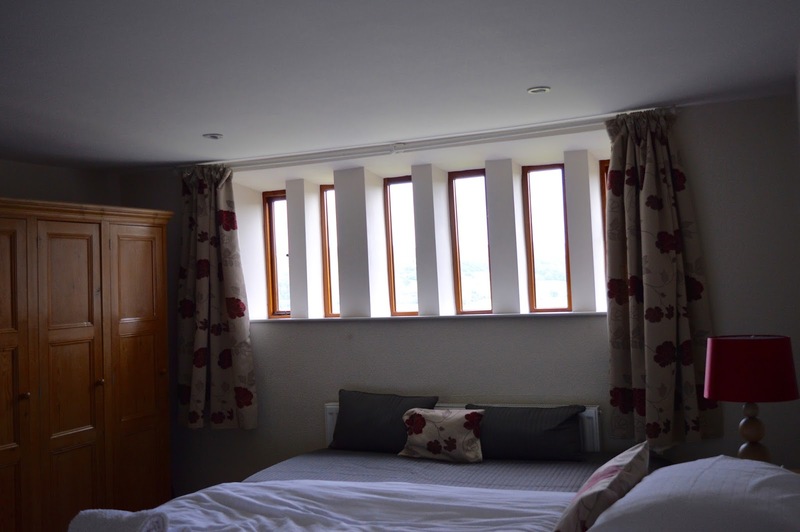 With five bedrooms and bathrooms, a large family room with a pool table and wood burning stove, ample parking, extended gardens and summerhouse plus large kitchen, utility room and dining room, there's ample space for up to 12 guests. 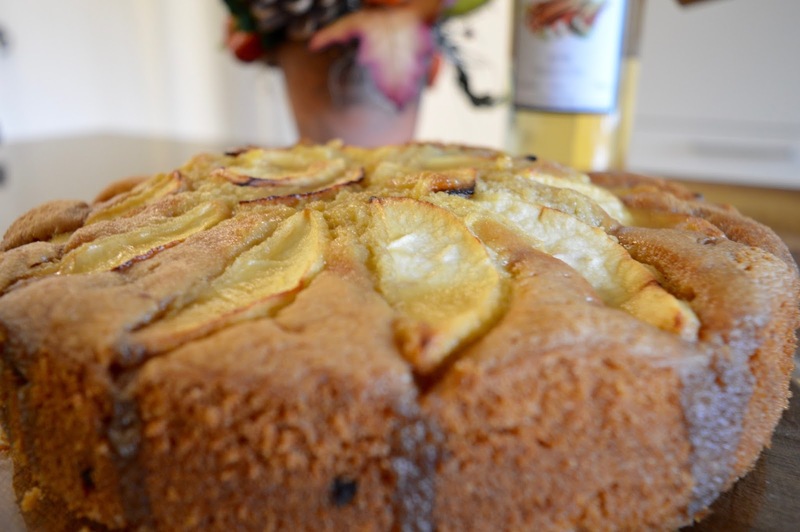 We received such a warm welcome with a homemade cake using apples from the garden. 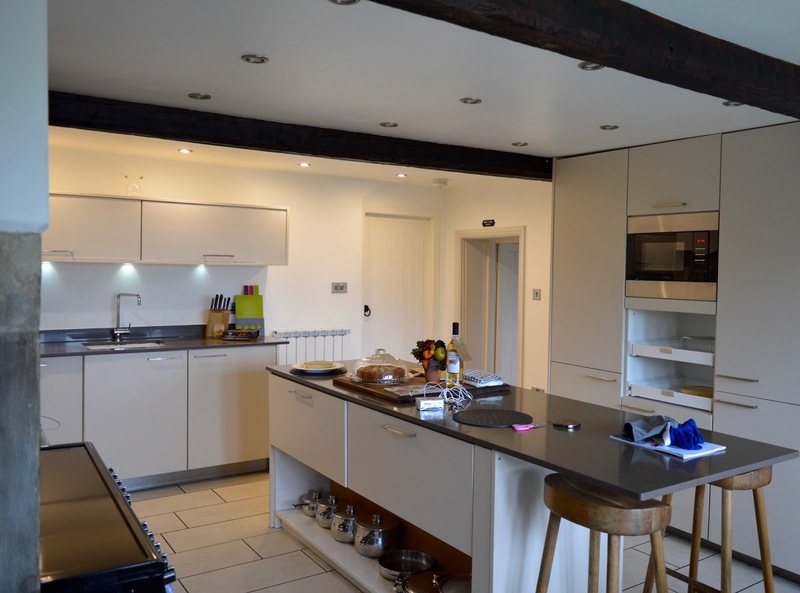 The kitchen was a kitchen of dreams with integrated appliances, plenty of surface space, everything you could need plus a separate utilty room too. 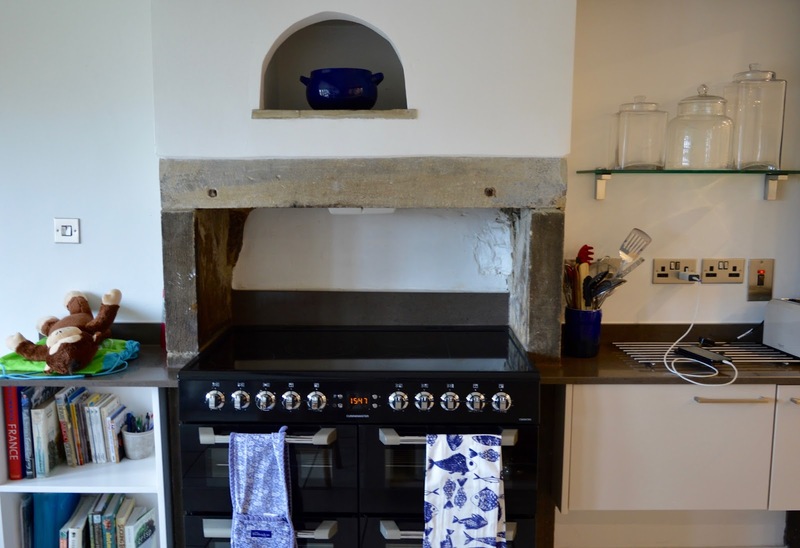 The kids loved pulling a stool up to the breakfast bar in the morning whilst Steve cooked for us. 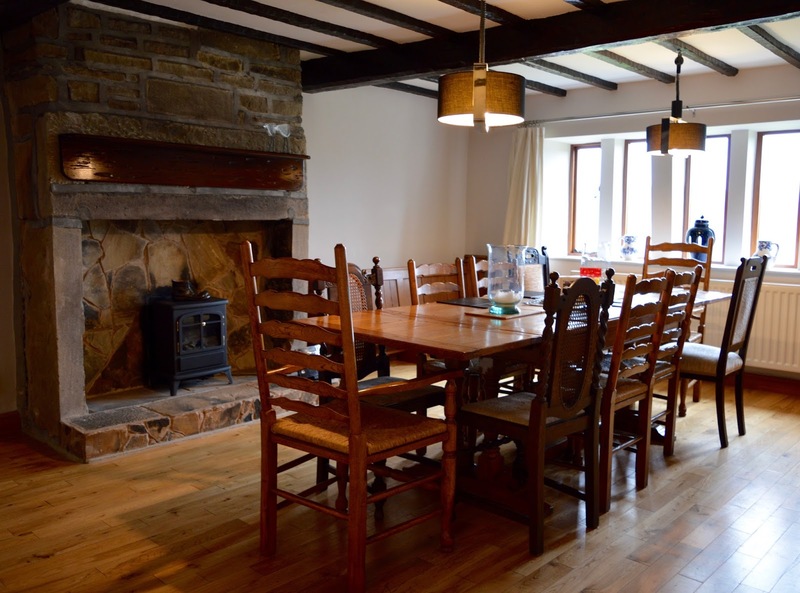 The dining room is a grand affair with a long extending table which will be perfect for family meals and get togethers. 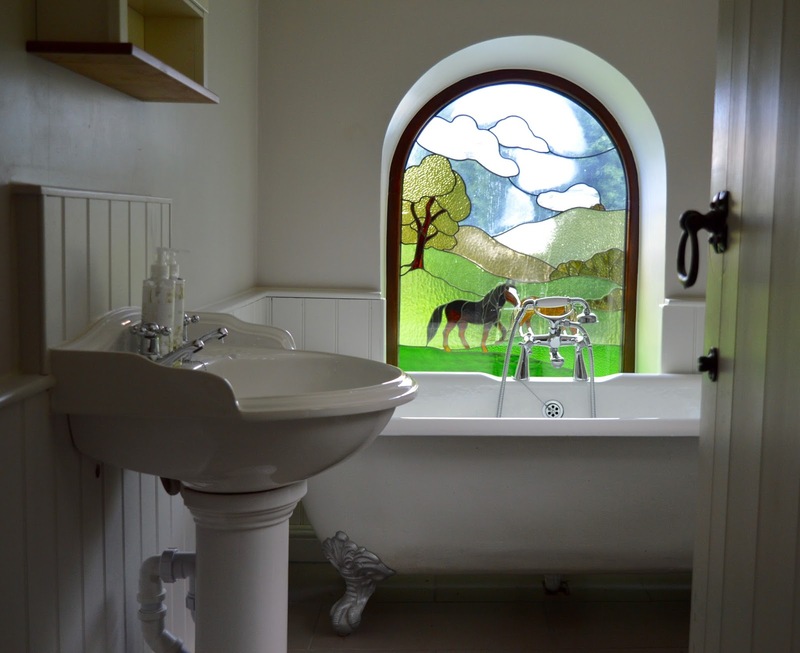 I can just picture us all sitting down to a Sunday roast in this room. 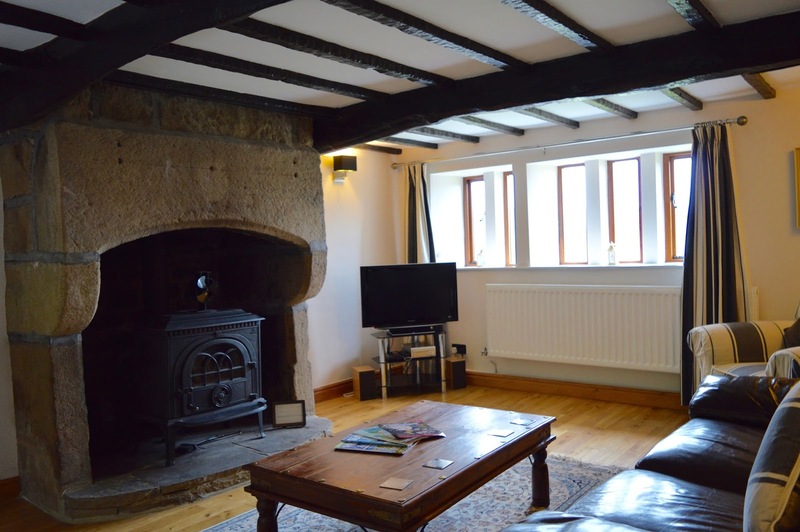 There's not one but two family rooms which worked really well for us. 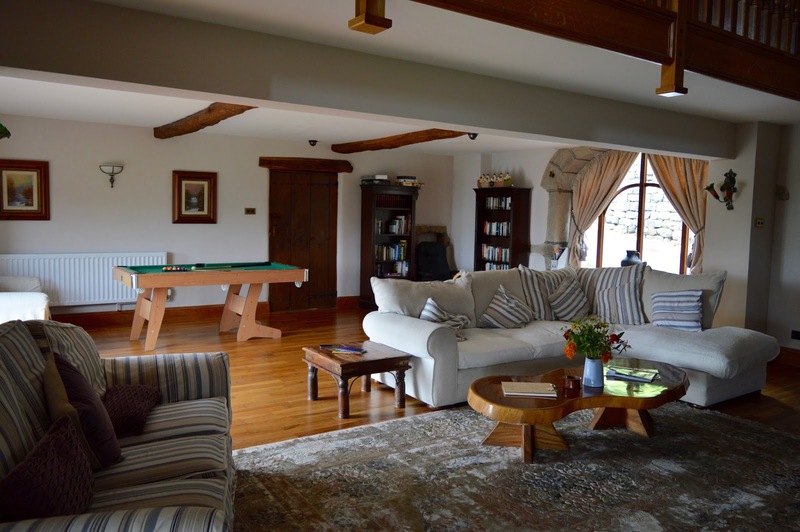 The kids would play with their toys and the pool table in the larger room and we could relax with a nice glass of wine and magazine in the other. 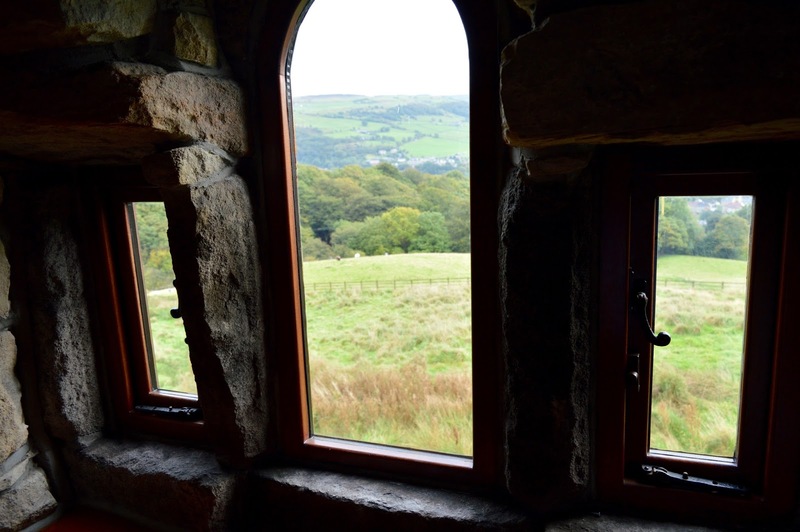 This house is the PERFECT place to play hide and seek. 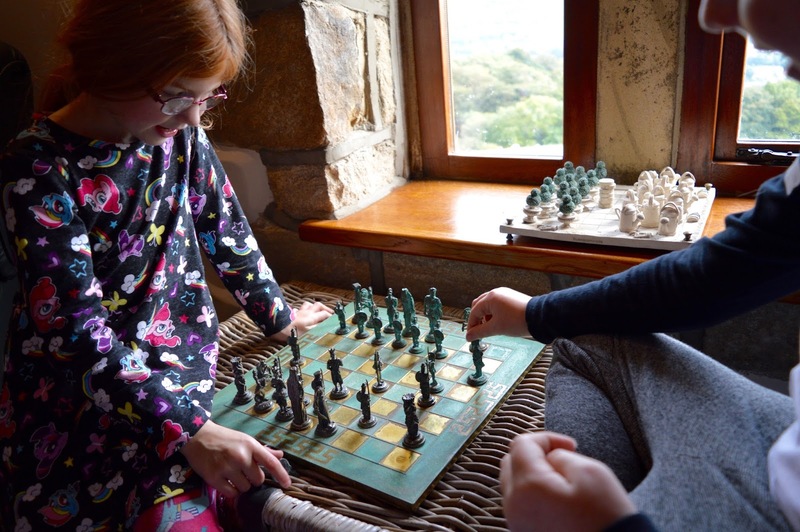 The kids spent hours doing just this and were also super chuffed to find a little snug hidden by a window upstairs where they could play chess. 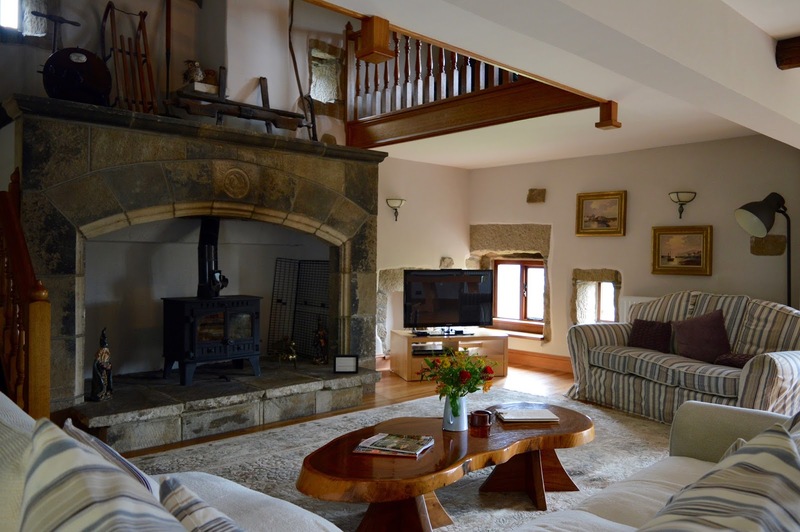 The beauty of this house is that whilst there are plenty of places to bring family and friends together, there are also ample opportunities for you to hide away and do your own thing if you want to. 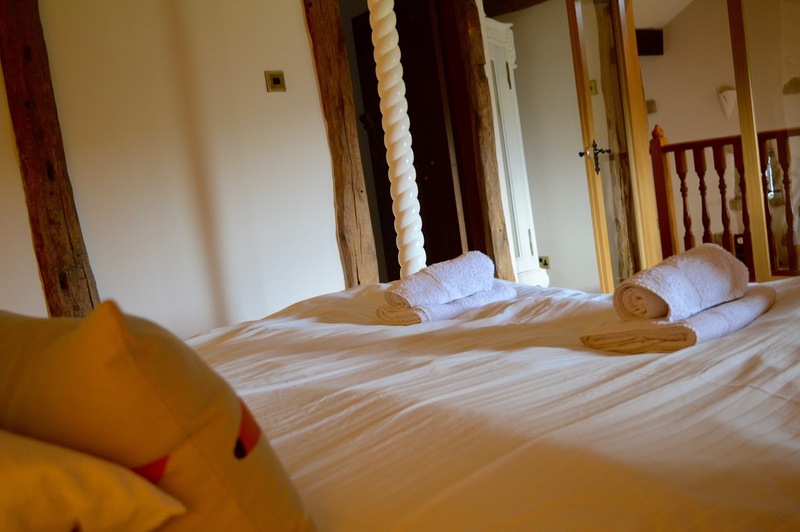 Stephenson House has been thoughtfully designed with families in mind. 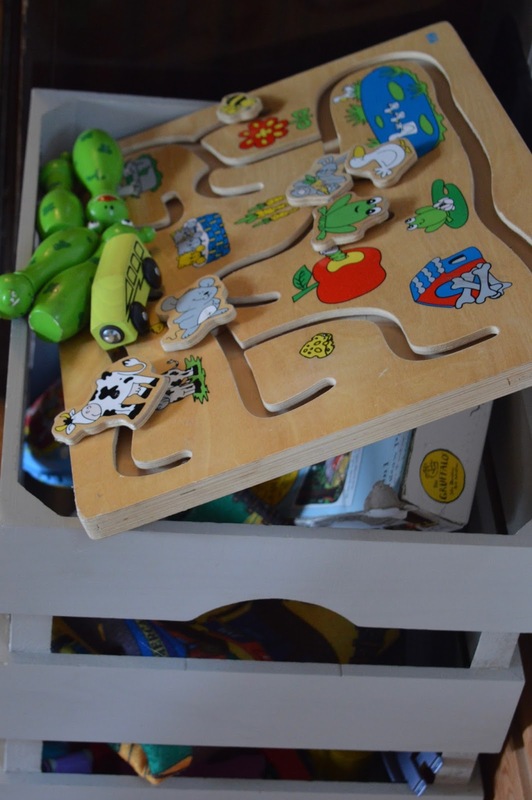 From reading nooks and story books to jigsaws, family recipes and a chest full of board games. There's so much to keep you all entertained. There is free and decent WiFi and Netflix too. It's also the perfect place to relax. 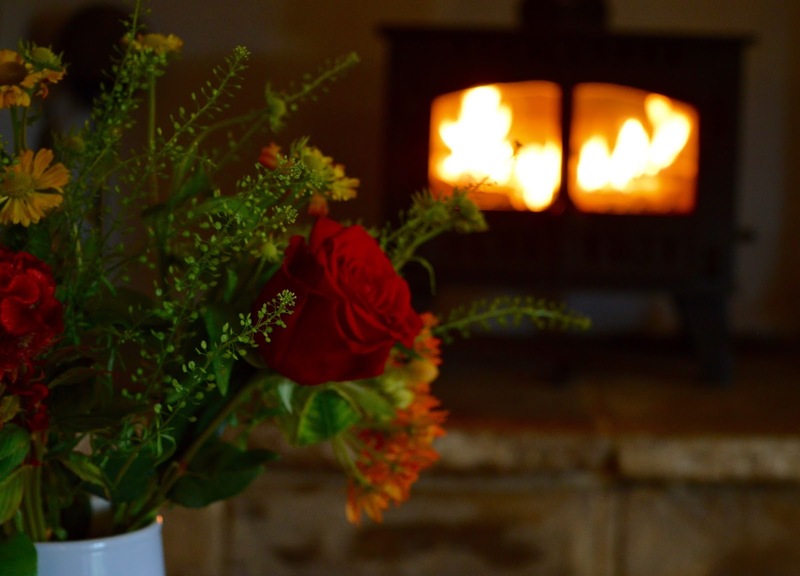 With fresh flowers, magazines, stunning fireplaces, gorgeous bathrooms, four poster beds and rolling countryside views, it would be difficult not to. 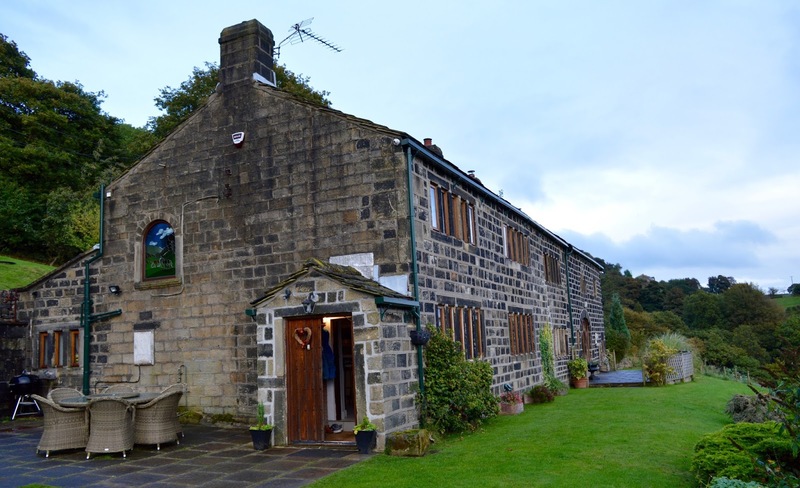 In all honesty, Stephenson House was far too big for just the five of us but we'd love to return one day with my brother and parents, it is probably the best self-catering accommodation we've ever stayed in and I would highly recommend if you're looking for group accommodation for a weekend away. Handcrafted jewellery is always more special thank something you can pick up from a high street chain. I am in love with this collection by Lolla Mac. Handmade with sheet copper and sterling silver by Clare Edwin from Prudhoe, each piece is unique. 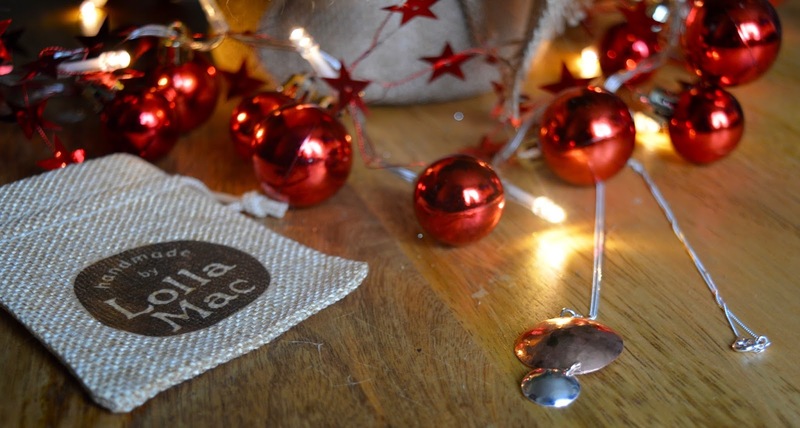 You can buy online or find Lolla Mac jewellery popping up at these local Christmas markets across the North East to buy in person. 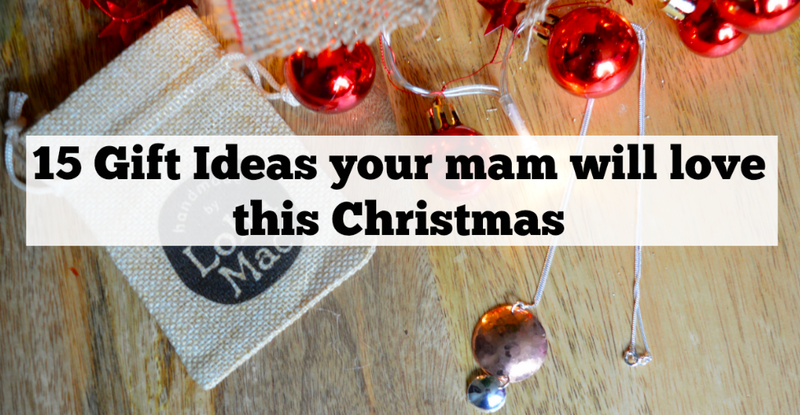 You can't go wrong with Boden and their Christmas Gift Guide is packed with ideas your mam will love. 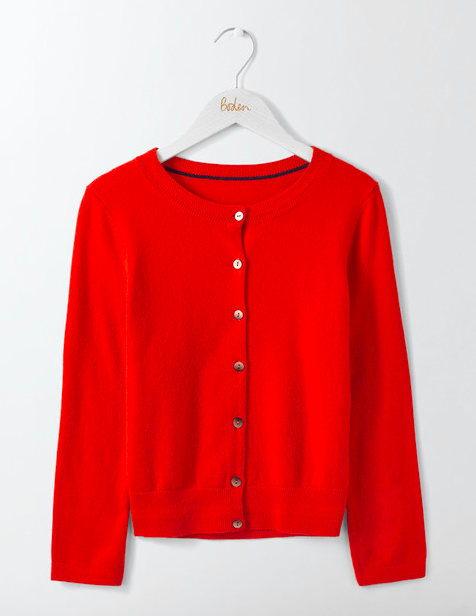 From Cashmere Cardigans to luxury pyjamas and classic scarves. There's lots to choose from and if you're stuck, I don't know anyone who wouldn't appreciate a Boden Gift Voucher. 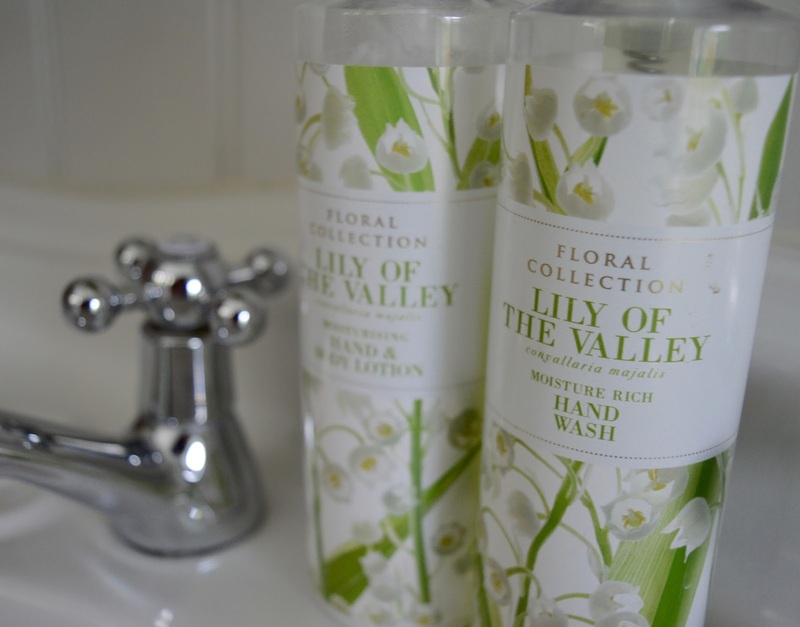 Forget about cheap bubble bath from the supermarket, if you really want to treat your mam, luxury bath oil is where it's at. 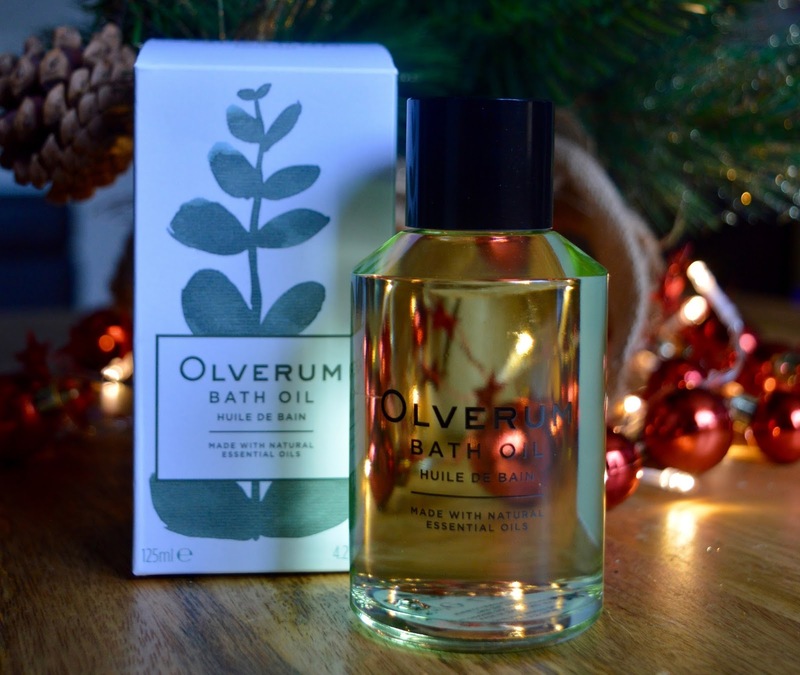 Olverum Bath Oil is a product I can highly recommend. Featuring a unique blend of essential oils that has been designed to help ease stress and relax the body, this luxurious bath oil is super concentrated and only requires half a capful per bath so will last a long time. It has been rated 5* by customers and you can take advantage of free gift wrapping and delivery if you buy online too. Tickets to the theatre are always a good option and here in the North East we have some fantastic options coming up next year. From Nik Kershaw and Go West, Legally Blonde or Gary Barlow at Sunderland Empire to Rebecca Ferguson at Tyne Theatre & Opera House or Ruby Wax at Northern Stage - there's lots to choose from. 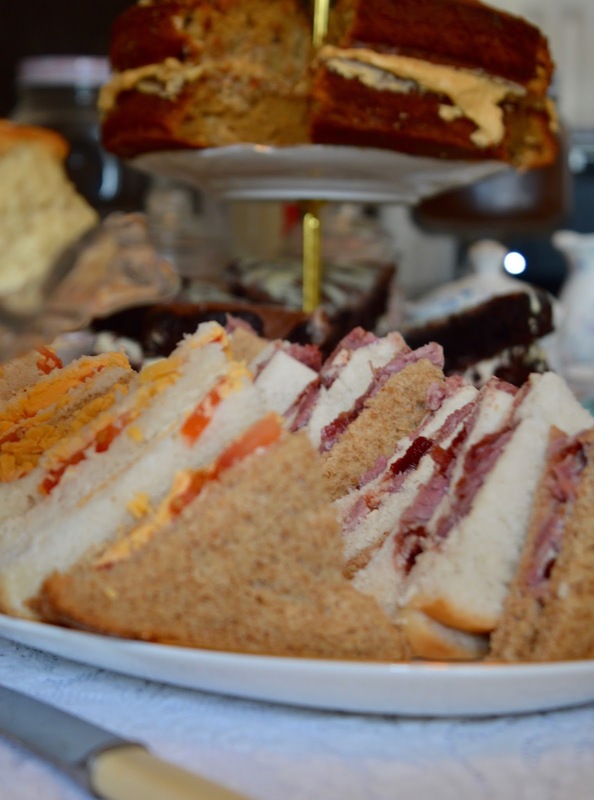 If shopping local is important to your mam, why not put together a basket of treats from The Grainger Market? 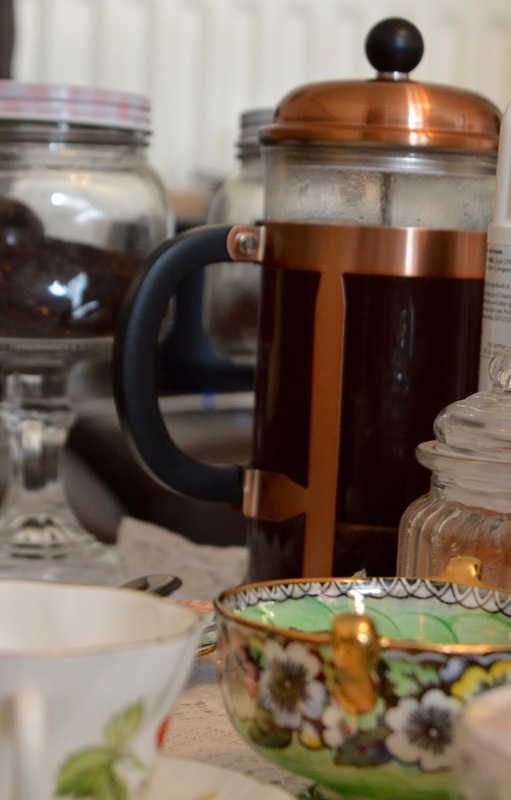 You can buy unique shoes from Scorpio Shoes, local coffee from Pumphreys, make-up from Ellen's Cosmetics, Cheese boards from Matthew's Cheese Shop, Spanish treats from La Casa Delicattesen and so much more. 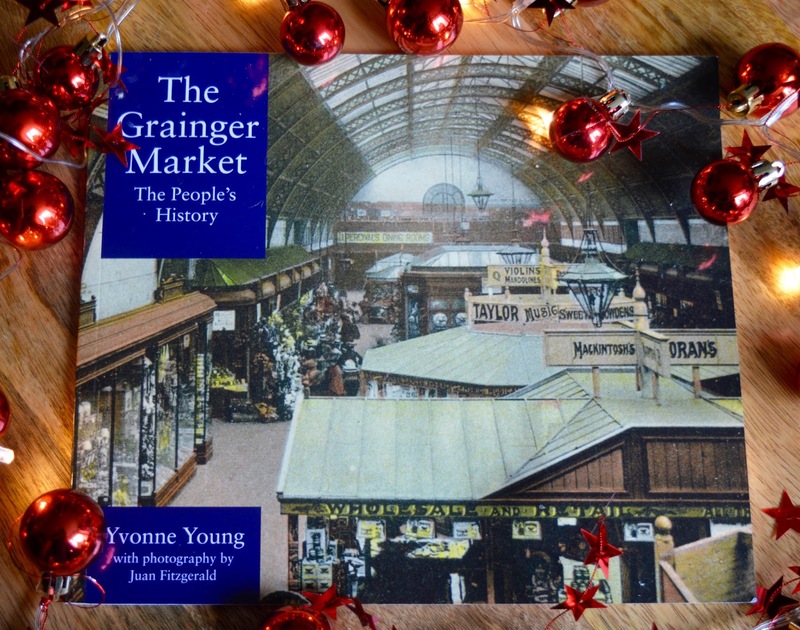 The Grainger Market is hosting a special Christmas Shopping night on 1 December where you'll be able to browse and buy the best Christmas gifts the market has to offer. Find out more here. Marks and Spencer's range of handbags is stunning this autumn/winter. Always classic, well made and stylish, your mam will be happy with any one of these bags. 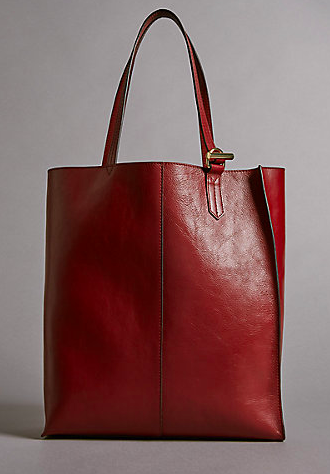 I really love this Leather Shopper Bag which looks far more sophisticated than my crumpled up carrier bags from Aldi! 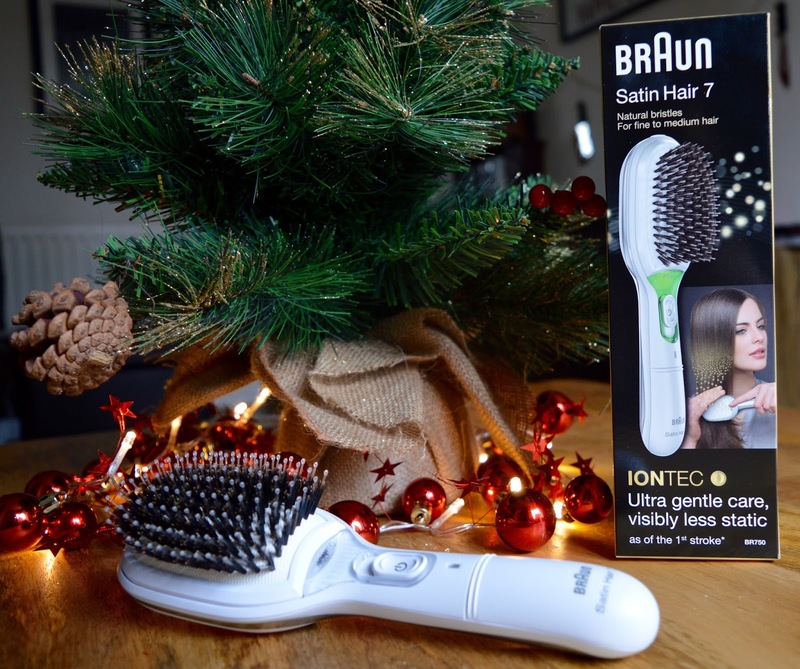 If your mam is into her haircare, I'm sure she'll love the Braun Satin Hair 7 Hair Brush. The world's first ionic brush will give you significantly more shine from the first brush and leave your hair with less frizz and flyaway hairs. The brush is supplied with batteries and a removable cushion brush for easy cleaning. If you have not checked out Wilko's stationery section yet, where have you been? 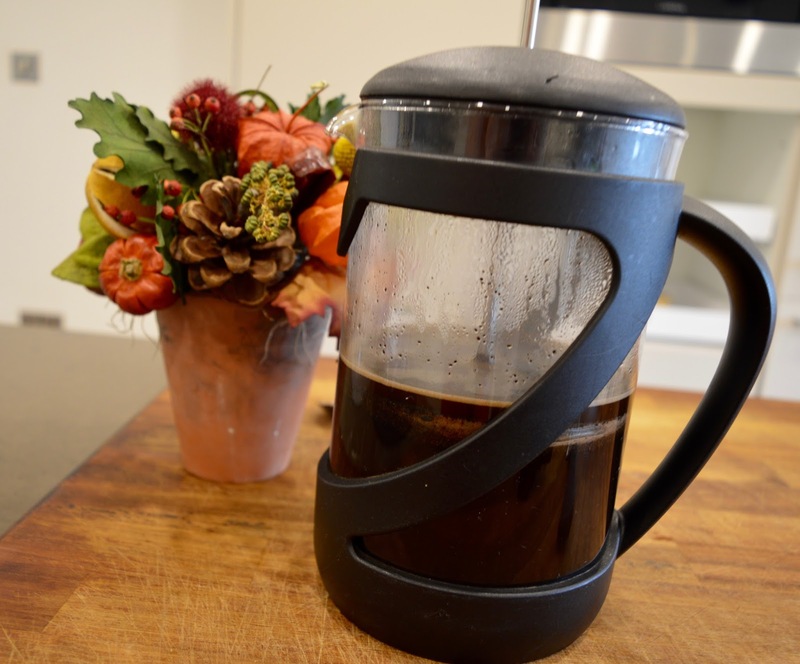 It's fun, functional and very affordable too. 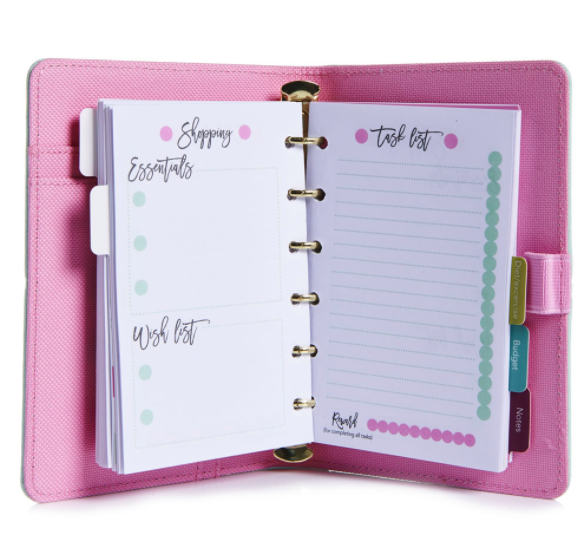 The A6 bound organiser pictured is just £3.50!! I think I'm actually going to buy this for myself. Other picks for me include this super stylish pen pot, these gorgeous sticky notes and this beautiful Zipper Wallet which is a steal at just £1. If your mam loves stationery, I'd add a basket to your order and make up a special stationery hamper. The All-New Amazon Fire Tablet features up to 12 hours battery life and allows you to read millions of books, watch your favourite shows on Netflix, Amazon Video, BBC and ITV, enjoy over 500,000 FREE apps such as Facebook, Twitter and Candy Crush and listen to millions of songs. (subscriptions may be required). I recommend the Fire HD 8 Tablet with Alexa which is a bargain at £59.99. House of Fraser often run special discounts on their range of designer purses. 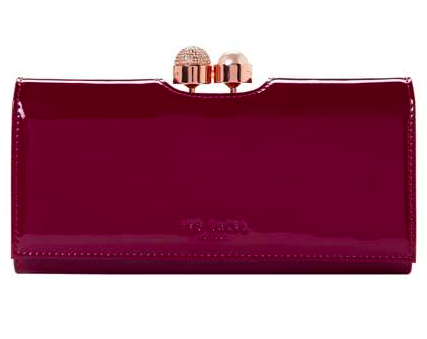 I love this beaut by Ted Baker - it has really caught my eye. Available in a range of colours, I especially like the purple. Luxurious beauty treats are one of my favourite gifts to receive and John Lewis is the place I always head to. 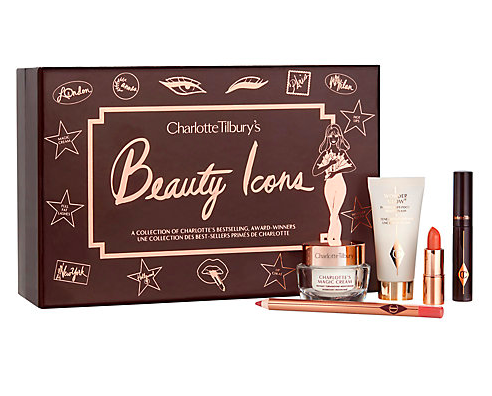 This Charlotte Tilbury Beauty Icons set will be very well received, Estee Lauder fans will appreciate this special skincare set and this Liz Earle Gift Set in exclusive to John Lewis and at the top of my list! If all else fails, you can't go wrong with a bottle of perfume. The Perfume Shop always has some cracking deals, huge savings and exclusive sets on offer. For example today you can buy Agent Provocateur for £26.99 reduced from £99. 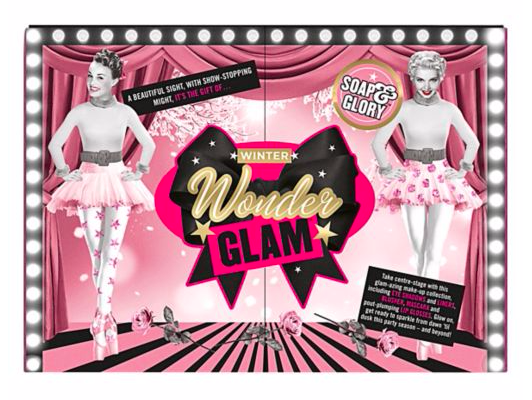 Soap and Glory gift sets are exclusive to Boots and available as part of a 3 for 2 offer so offer fab value for money. They are always a popular choice and my top picks would be this Box of Delights (£16), this Glow Ball (£14) or go all out with this Winter Wonder Glam Set (£50). My mam loves to read and I often buy her new books for Christmas. 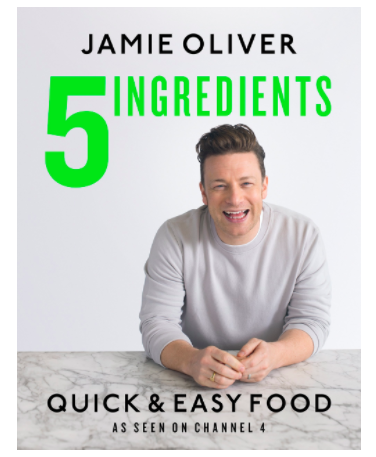 Amazon Best Sellers this year include Jamie Oliver 5 Ingredients, Hillary Clinton What Happened, and The Keeper of Lost Things. This is the gift I have my eye on this Christmas. I google EVERYTHING and would love to be able to do this hands free. 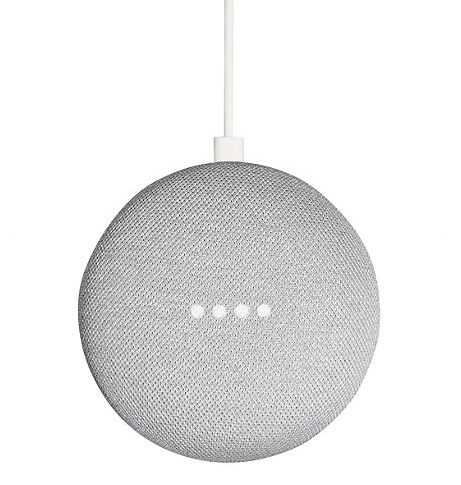 Google Home is like having your own personal assistant and can help with cooking times, read you the news, play music, manage your diary, check the weather, set alarms and so much more. I think it's a bit of a bargain at only £49.99 from John Lewis. 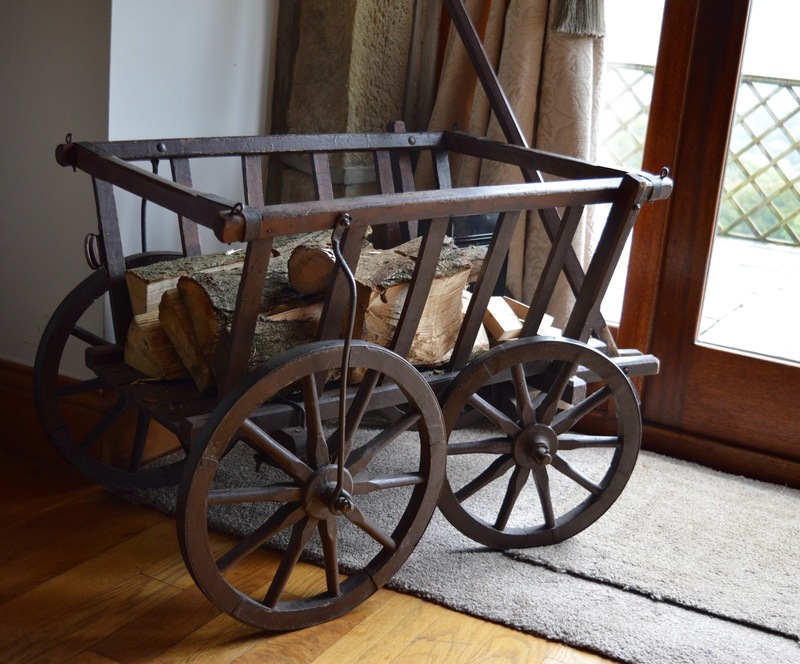 Let me know what you'll be buying your mam this Christmas and if anything I've mentioned has caught your eye. 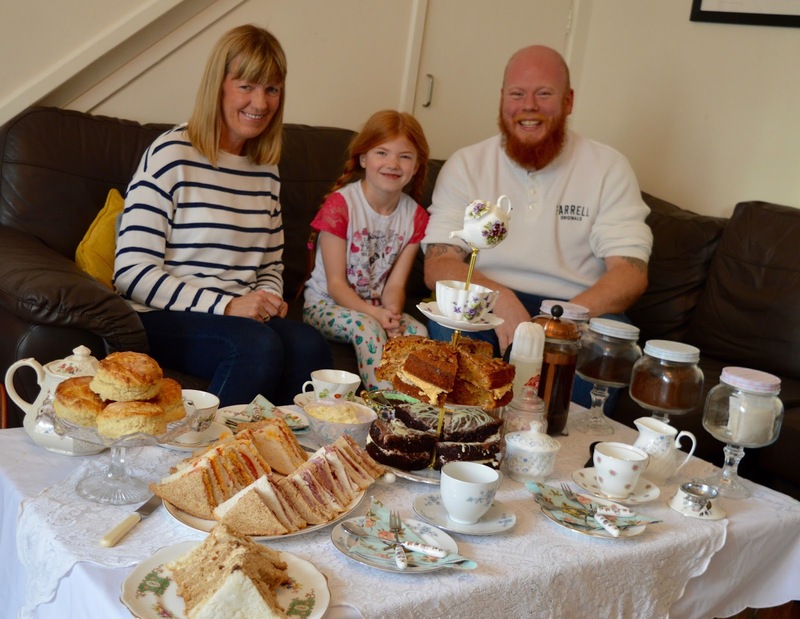 My mam works insane hours as a senior carer - I'm talking back to back 14-hour shifts (I don't know how she does it) and my brother has recently opened his own business (shout out to Evan's Bistro in Whitley Bay). This coupled with my crazy blogging life means that we haven't been able to spend much time together recently so when Mrs Dellow's asked if I'd like to taste test their new autumn menu, I thought it would be the perfect excuse for us to get together for a few hours. 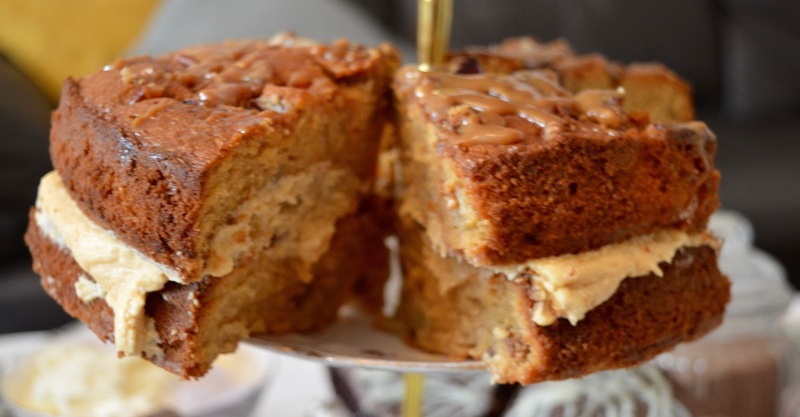 Mrs Dellow's Delights deliver and set up everything you need for afternoon tea in your own home or venue so it's the perfect option for those who have kids who won't sit for 2 hours in a restaurant or those who are simply more comfortable in their own home. 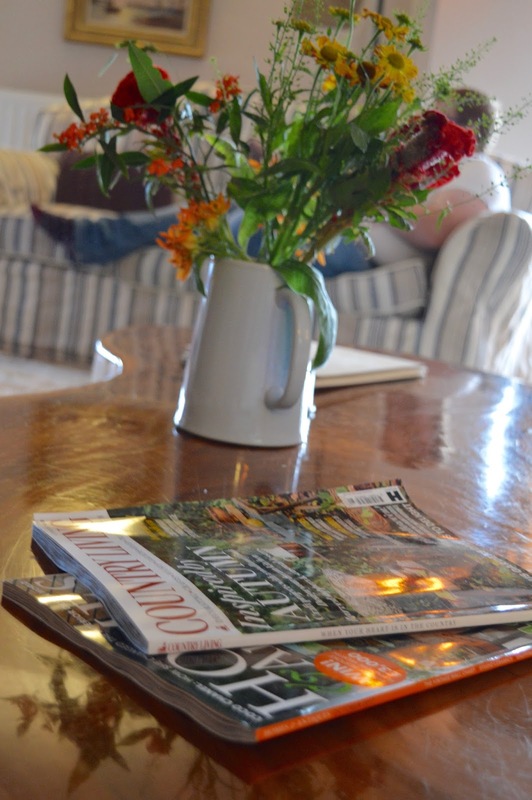 The new autumn menu features so much comfort food and I won't lie when I say there were plenty of leftovers for us to enjoy for lunch the next day too. 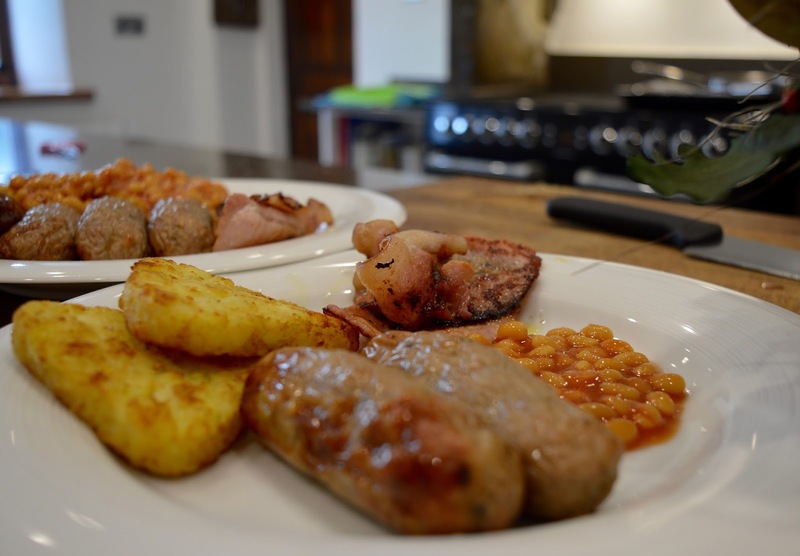 The portions are huge and everything has that special homemade taste. 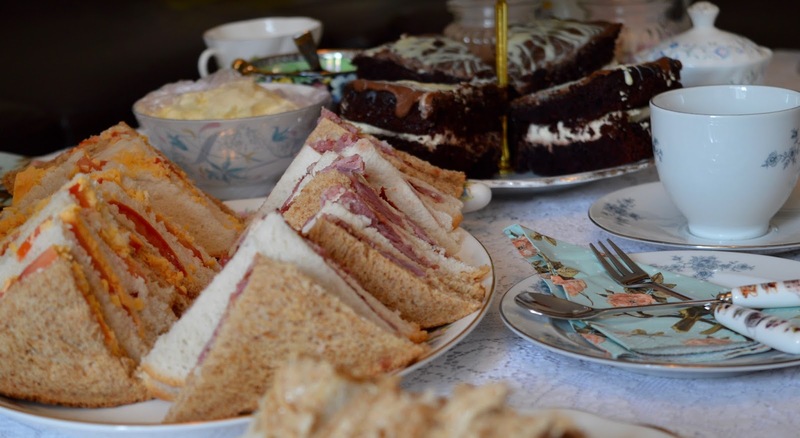 The beauty of afternoon tea by Mrs Dellow's is that they provide everything. 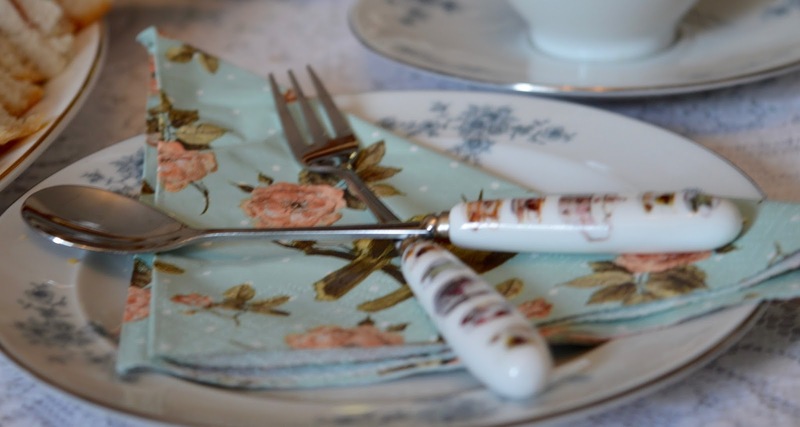 From tablecloths to cake stands, vintage tea plates, cups and saucers, two types of coffee, tea, tea strainers, jam spoons, cake forks, hot chocolate, marshmallows, a cafetiere.....even the milk is provided and it's all set out for you too. 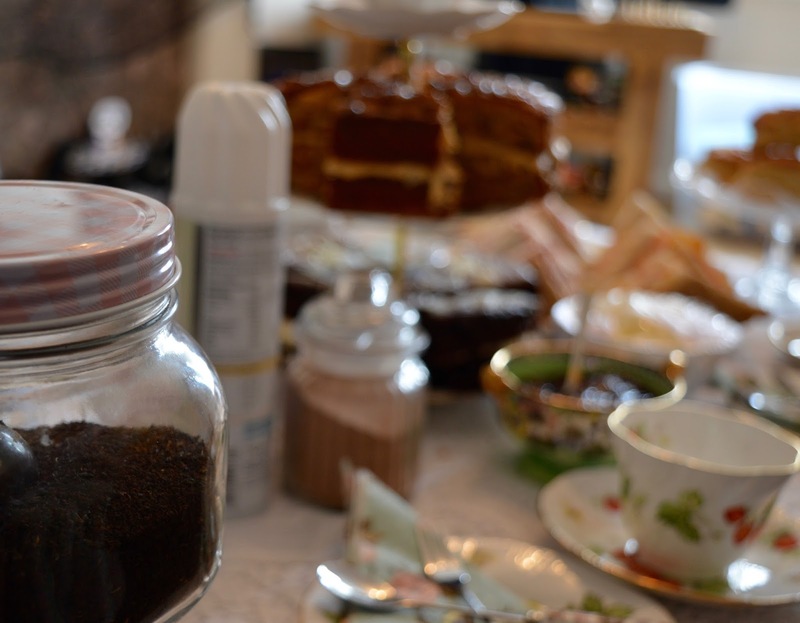 Mrs Dellow will get in touch with you a couple of days before your booking to confirm the size of your table and cake preferences. 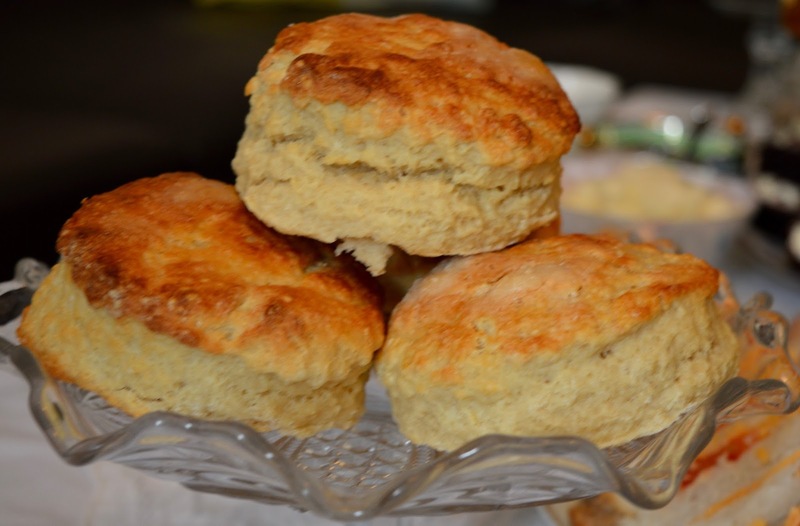 First up - check out these buttermilk scones. 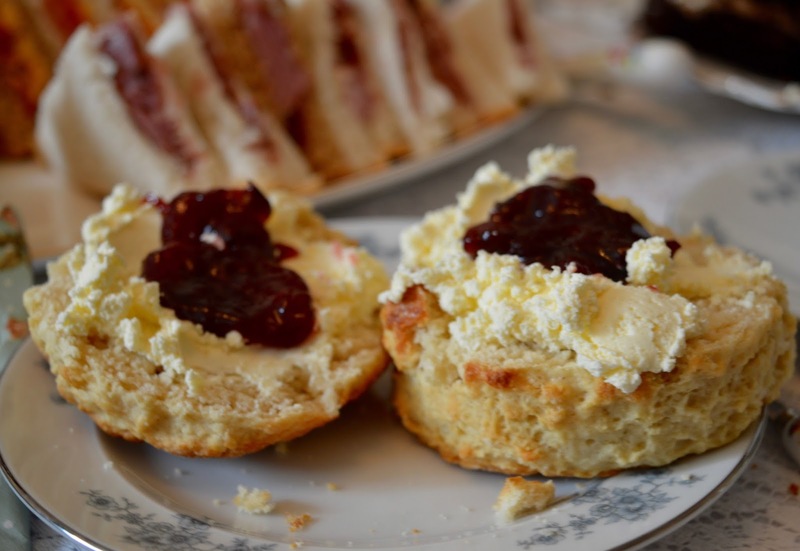 Served with Damson Jam and clotted cream they are simply perfect. 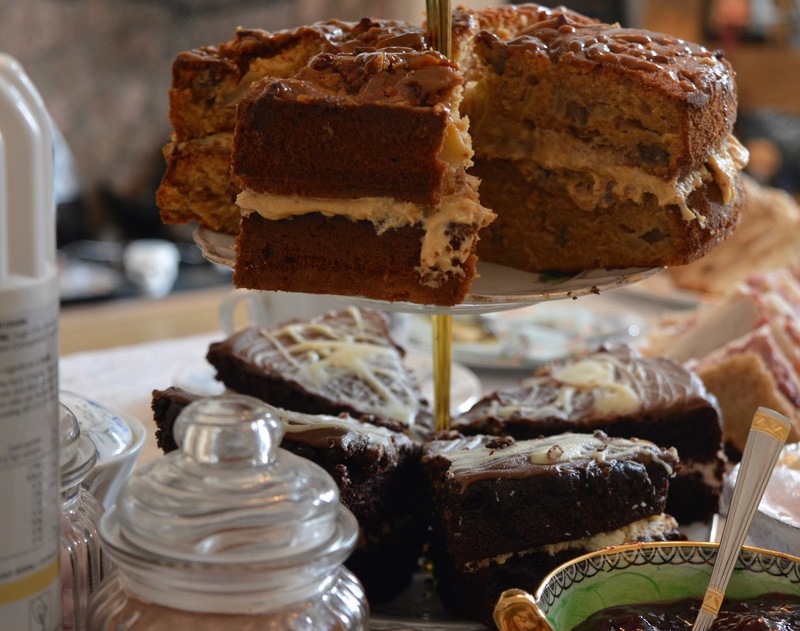 The cakes are huge. 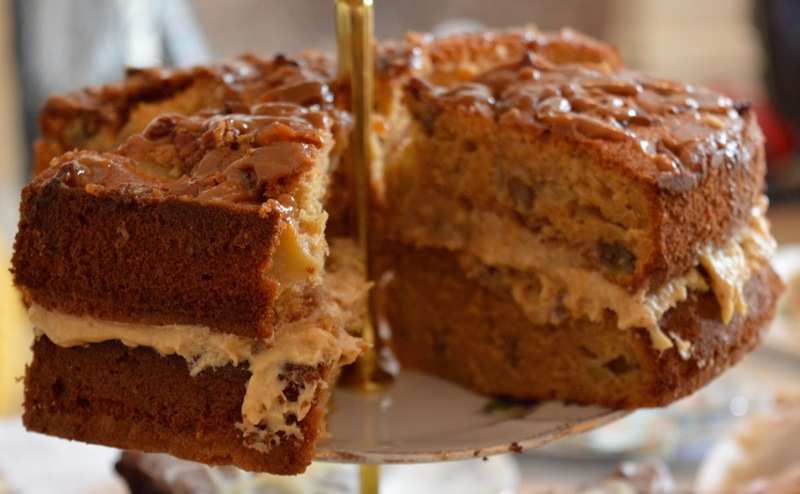 It's really difficult to choose a favourite but I think for autumn the caramel apple and pecan just edged it. 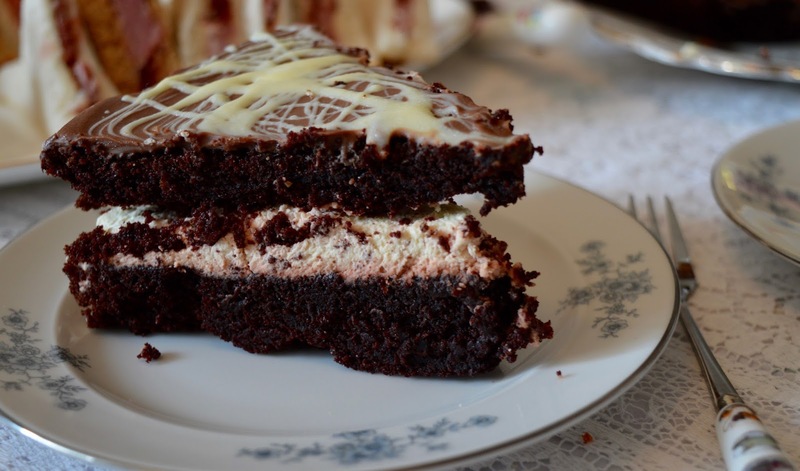 I could actually only manage one slice of cake and the kids shared the leftover chocolate cake between them. They couldn't get enough! 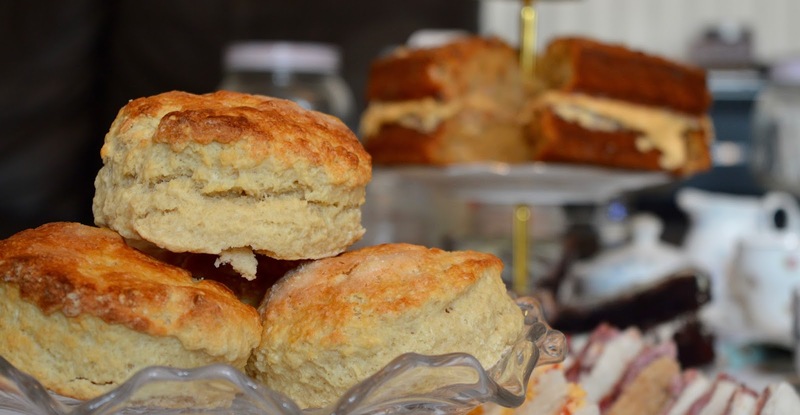 There's a huge batch of sandwiches to wade your way through too. These are the complete opposite to a sandwich you'd pick up from the supermarket for lunch and the Gammon and Plum Chutney sandwiches really put me in the mood for Christmas. There's nothing like a proper ham sandwich. 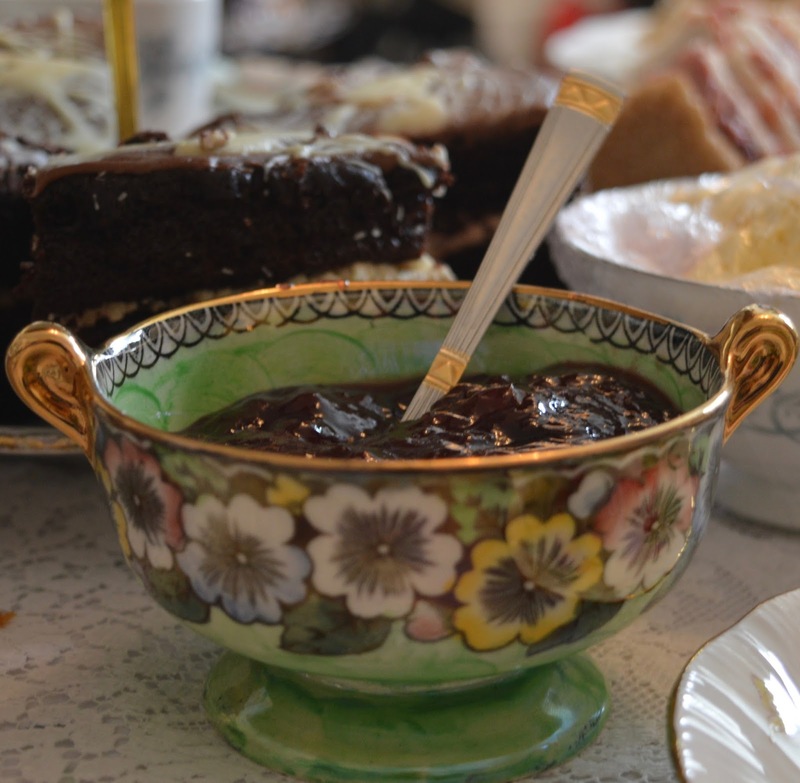 Afternoon tea is such a lovely way to relax and have a proper chat with your lovely people. 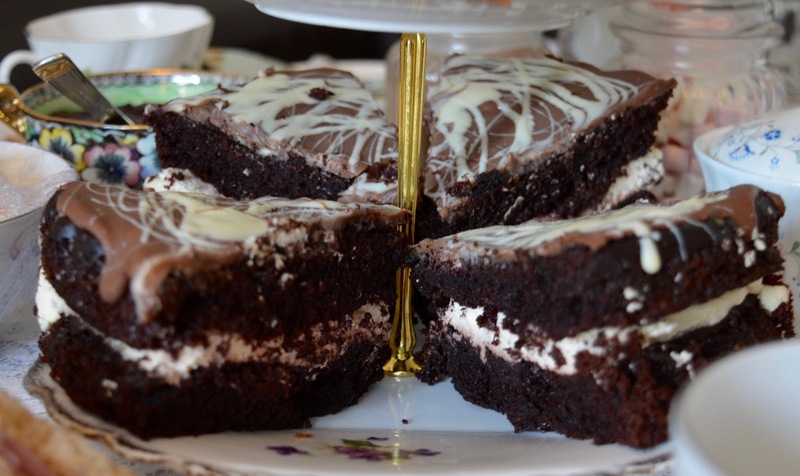 I really cannot recommend Mrs Dellow's Delights enough. The best part is, once you're done, the team will pop back and clear everything away for you. Perfect! 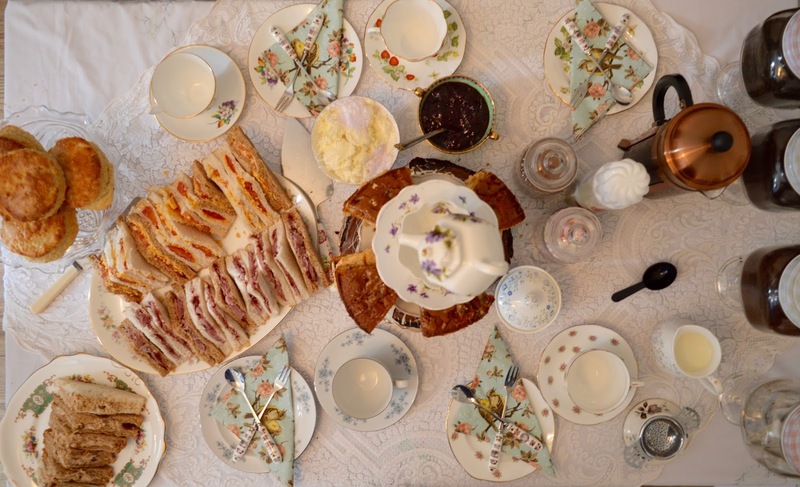 I'd recommend organising an afternoon tea party to anyone who is looking to get together with friends or family this autumn. 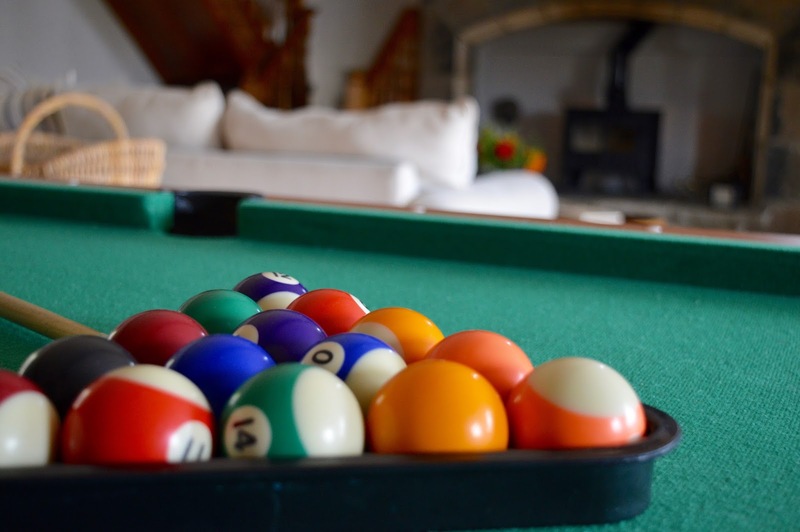 It's a fab idea if you have kids as they can play upstairs whilst you take your time and there's no stress about trying to occupy them in a restaurant. 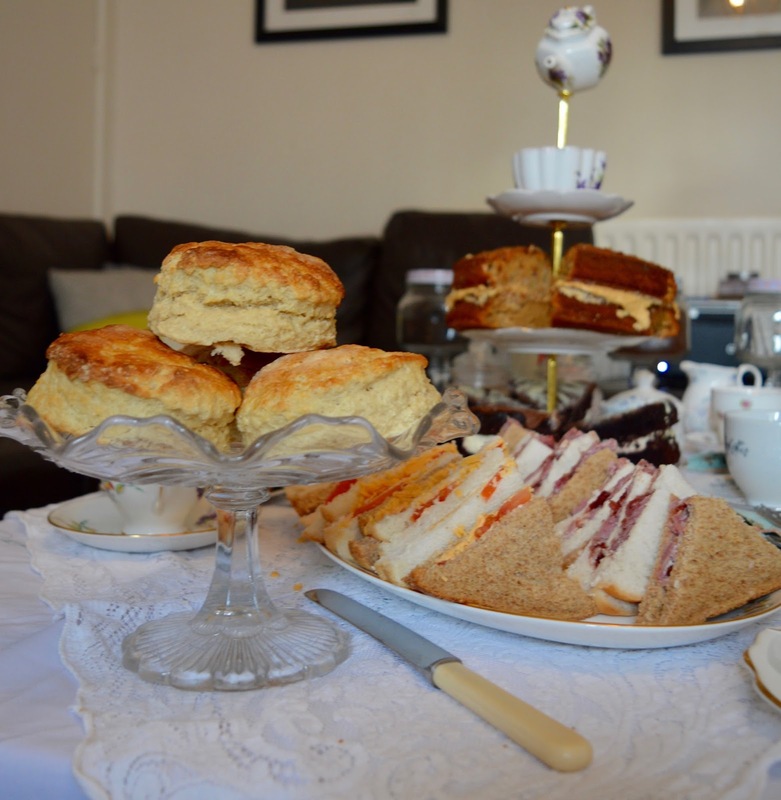 Mrs Dellow's Delights can be booked for informal gatherings, parties, baby showers, christenings, birthdays, engagements.....anything goes really. If you're at home you can always add your own bottle of Champagne to the celebrations too. 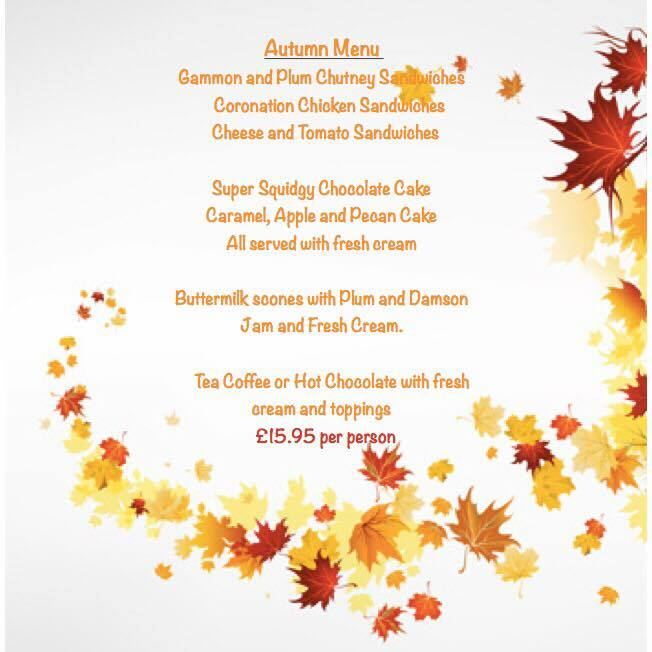 The autumn afternoon tea from Mrs Dellow's Delights is available from £15.95 pp. 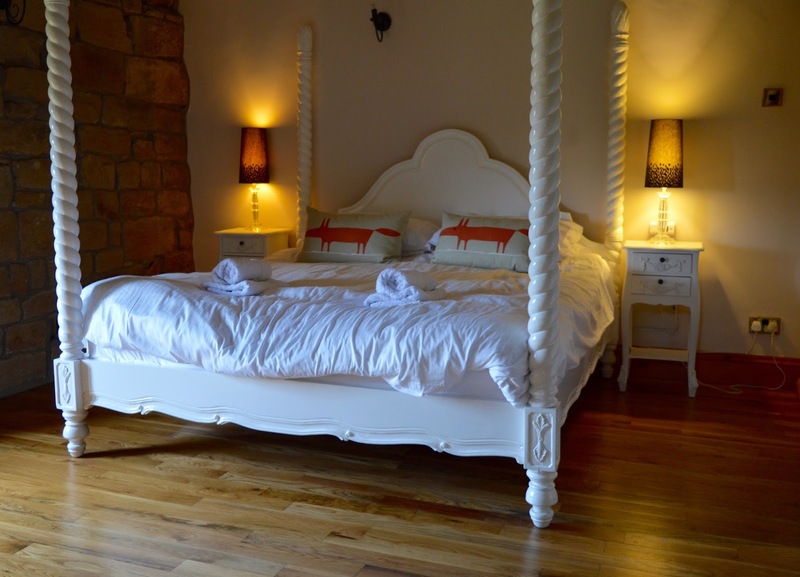 Visit their Facebook page for more photos and www.mrsdellow.com to find out more and book. There's no job too big!